The title of this post was taken from the song China Roses by Enya. Random picture of Jaxon. 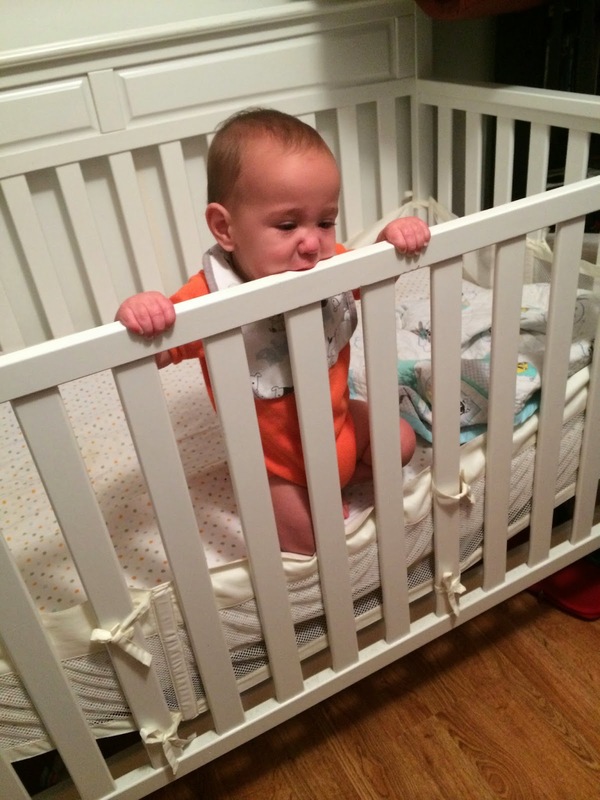 He is starting to pull himself up in his crib. Yikes! Sebastian went to New York this week for youth conference. 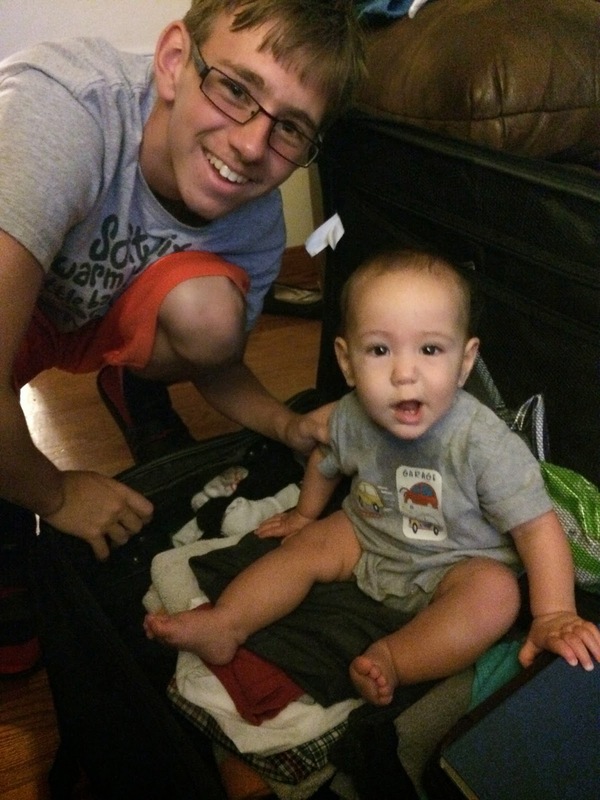 Jaxon crawled into his suitcase... he wanted to tag along. I try to take the kids and do something everyday. I know they get bored being at home so I'm trying to make their summer fun. 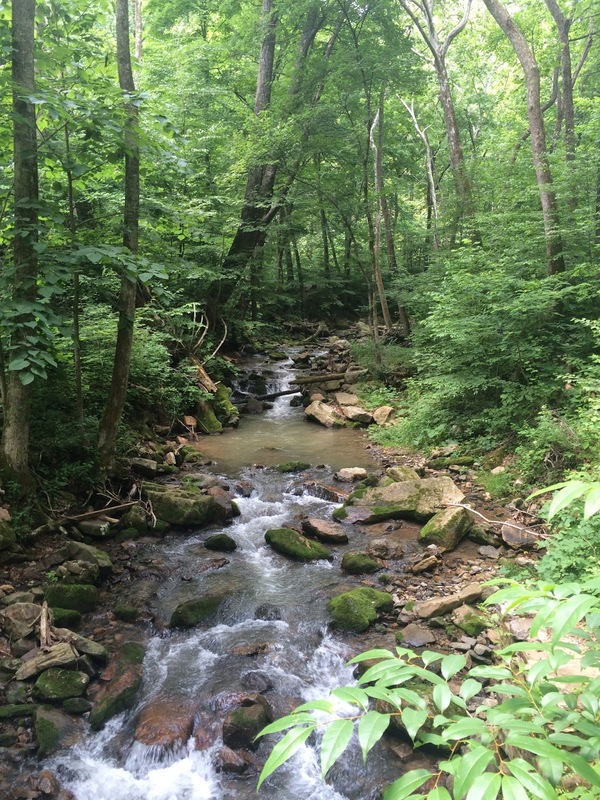 Today we decided to drive up to Roaring Run and walk around. As we were walking along up to the falls I realize that carrying Jaxon, who is 20 or more pounds, was not going to be easy so Tyler and Mason decided to run ahead and let me just catch up. They were no more than 50 feet ahead of me when Tyler trips over a tree stump and hurts her toe. She's crying, Jaxon is starting to whine and squirming to get down, Mason is yelling at Tyler to get up, it's almost 90 degrees out and I'm done! We walked back to the car and decided we would try again another day. Some plans just don't work out. However I did manage to get two decent pictures before everything fell apart. 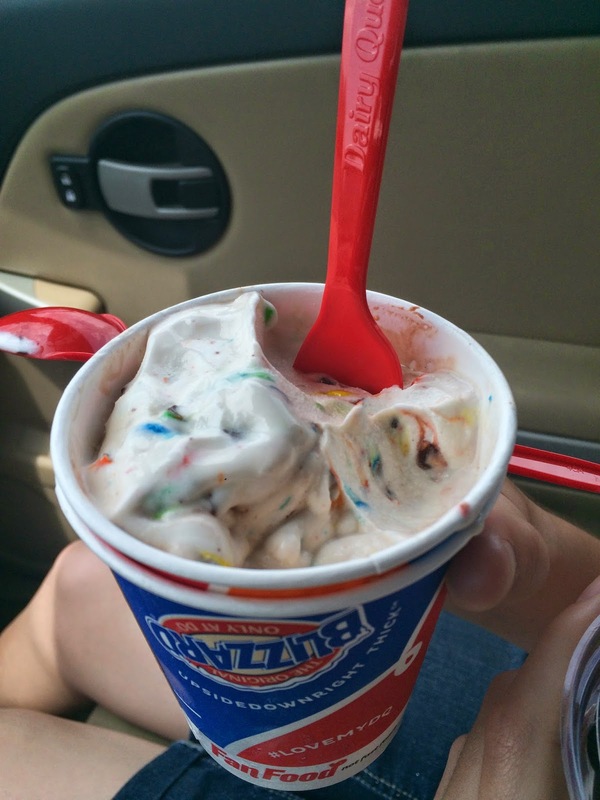 As we were driving home I decided that we should at least end on a good note and stop for ice cream :) So we headed to Dairy Queen and I got an M & M blizzard. My favorite from when I was little. On a related note...Growing up we had a wood-stove in the house that we used for heat. When I was 9 or 10 my Dad would go cut wood with my uncle and he always asked if Matthew, my brother, and I wanted to help. We were always pretty torn about what to do because truth be told we did not want to spend all day cutting and stacking wood, but we also knew that Dad always stopped for a blizzard from Dairy Queen on the way home. Usually our desire for a blizzard was enough to motivate us through a long day in the woods. There was one time though that I tagged along and didn't really help. 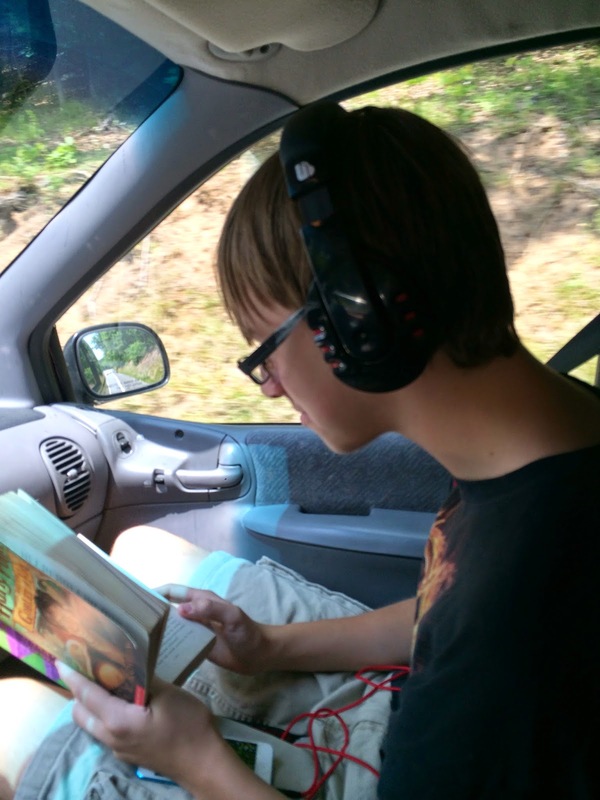 I just hung out in the truck and when Dad stopped for blizzards that afternoon I didn't get one. I remember tears running down my face and Dad very quietly reminding me that I hadn't helped. I guess he felt sorry for me though because he let me have a few bites of his. That was the last time I went along and did not help. With every bite of blizzard I took today I thought about the lessons he taught me. I grew up in an incredible family. I'm truly blessed.